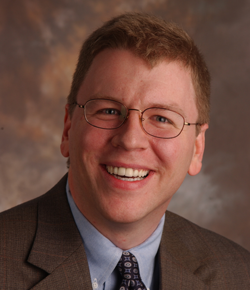 An Emory graduate, John E. Connerat is the Chief Business Officer for Library & IT Services. With a focus in budgeting, finance, human resources, contracts administration, software licensing, and business operations, John's team provides the organizational backbone for Emory's 525-person, $90 million LITS division. John has held previous directorships in IT business operations and capital planning & finance, as well as performed real estate and tax law for businesses and individuals. John is a member of the State Bar of Georgia. The Business and Administration of Library and IT Services (LITS B&A) division provides financial management, human resources support, contract management, and administrative services for all divisions of Library and Information Technology Services. We work as a liaison between the major functional areas of the division (information technology, library services, and digital scholarship) and the central administrative units (human resources, accounting, procurement, payroll, budget and planning, campus services, and the like). LITS B&A also partners closely with Emory Healthcare Information Services in many of these where both the university and healthcare align in various parts of its respective missions. LITS employees benefit from team-building events such as our annual service award luncheon held for staff achieving milestone service years and their immediate supervisors. Other initiatives include sustainability and wellness initiatives. 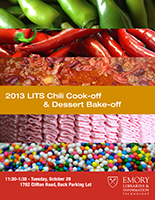 Events sponsored by LITS B&A include walking groups, fielding a team for the Winship 5K, coordination of ice cream socials, the Chili Cook-Off and the LITS Holiday Party, and our internal service awards luncheon. Some of the key initiatives achieved in the prior year that were new for our division included: (1) the rollout of the new performance management program and system implementation; (2) the HR and financial components of the Library Service Center planning and execution (in partnership with Georgia Tech); (3) assisting with the development and implementation of the governance model for Librarian rank and contract renewal; (4) aligning transactional processes and procedures across once-distinct divisions and operational models. As we look toward FY15, two key focused areas will be continued financial education for managers and others with budget responsibility and performing a comprehensive review and compensation analysis (in partnership with central HR) for all of the job titles and roles in Library & IT Services. "The Cost Allocation Methodology is a complex and important part of the way we fund budget dollars at Emory. The work done by the LITS Business and Administration team is top-notch and sets a high bar. Because of their contributions, the job of analyzing the distribution of Library and IT costs across the university and healthcare is made easier for all of us."